On Tuesday, April 2nd, the SLS (Main) channel was updated to server maintenance package 19#19.03.15.525315, comprising the simulator operating system update and EEP. The removal of UDP Asset message handling across all RC channels – see below. Some changes that might help with some disconnect issues older viewers have been experiencing, and which appears to be connected to some TCP message handling between the simulator and the viewer. The removal of UDP message handing sees the removal of server-side support for asset (inventory) messaging via UDP. All maintained viewers should be using HTTP for all asset handling – and this has been the case for a good few years for several asset types, with the last few moving to HTTP in 2017; as such these viewers will not be impacted by this deployment. However, it does mean that anyone using very old viewers still reliant on UDP messaging for assets will not be able to receive any updates for the following: animations, body parts, clothing, gestures, landmarks, meshes and sounds whilst connected to regions on any RC channels; this includes the two legacy viewers provided by Linden Lab, the Linux Spur viewer and the Obsolete platform viewer. In particular, and since some specific body parts are required to render avatars, user of these older viewers will see their avatar either as a cloud or the “Ruth” avatar, and will be unable to change from it. The Love Me Render viewer, version 6.1.1.525446, was promoted to de facto release status on Tuesday, April 2nd. The EEP RC viewer updated to version 6.2.0.525808 on Monday, April 1st. The sky thing is much the same as putting a banana in your ear to keep the alligators away. In other words, while derendering the sky my offer a workaround for the problem, it doesn’t actually resolve the issue. It’s definitely possible that any difference in network traffic might make the system behaviour change – but I don’t think changing the sky settings produces that much network usage. The failures I’ve investigated seem to be falling into a middle-limbo where the first region thinks it’s handed you off successfully, but the 2nd doesn’t get all the data it expects and eventually times out. One suggestion is to keep examinations of physical region crossing disconnects separate to TP disconnect, on account of the former tending to be more generally unpredictable due to the added data being transferred (vehicle as well as avatar(s)) and the manner in which the hand-offs are made. A further possible conflation of figures is the ongoing Singularity disconnect issue. At the moment, the Lab believe that have one statistic that may show the issue, but as it is only recorded once a day, they are waiting to gather further data from it before determining if it is revealing a possible issue / cause. 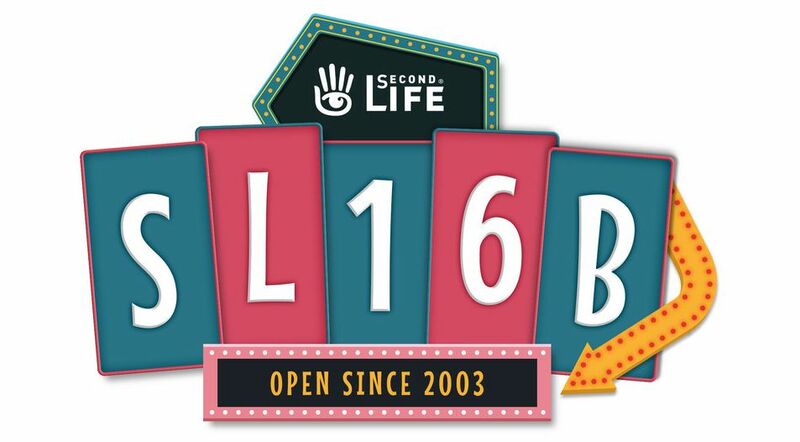 June 2019 marks the 16th anniversary of Second Life fully opening its doors to the public (and, as I’ve previously mentioned, Linden Lab’s own 20th anniversary as a company). As is the tradition, the anniversary will be marked by the Second Life Birthday event, marked by exhibitions, music, entertainment and more taking place across the SLB regions. SL16B is coming this summer … This year, we are excited to return to being more involved in the organisation of all the events. In addition to the official Music Fests, costume parties, and Shopping events, of the last few years, we’re also returning to our roots and participating more in the development and planning of the main SLB celebration. Those wishing to apply to be involved in SL16B as exhibitors, performers or volunteers should follow the links below. Performers and Presenters should then read the Performance Policies and complete the Performance Application form. Note that in difference to recent celebration applications, this form covers DJs, live musicians, performance arts, and those wishing to present a lecture or presentation – there is no separate presenters application this year. Volunteers (greeters, etc. ), should complete the Volunteer Application form. When entering times in any of the above forms, please ensure you used Second Life Time (SLT). The closing date for all of the above applications is Wednesday, May 15th, 2019. In addition, on March 14th, 2019, Linden Lab announced the SL16B Shopping Event (read here for more). Those wishing to apply to be a part of this event as a merchant should complete the Merchant Application form, no later than Saturday, June 1st, 2019. The SL16B Shopping Event: scheduled to run throughout the shopping period, this multi-region shopping event is now accepting applications from merchants. Those wishing to participate should ensure they have applied by June 1st, 2019.